Your home lighting installation is important because it can bring about an almost-instant transformation in any room you install lights in. Lighting in your home or business is both functional and aesthetic, you can use it to create whatever effect you desire depending on your personal style. 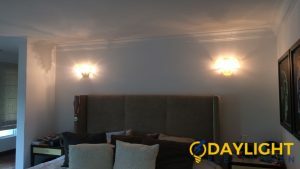 Whatever light installations you choose for your home or property, it pays to have a professional and reliable electrician in Singapore to do it for you. Otherwise, frequent wiring issues, burnt bulbs, and other electrical problems that arise from faulty installations may burn a hole in your pocket. This may even be more expensive than your initial light installation costs. What Light Installation Would Suit Different Parts of Your House? 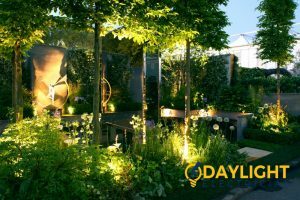 There are many different light installations that can help enhance the visibility and aesthetics of any room in your house. 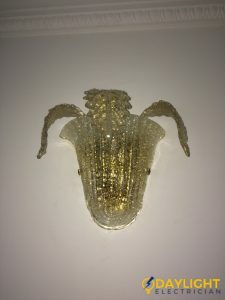 You may want something functional and cheap or choose to have something elaborate and decorative. Whatever your preference may be, we conduct any type of lighting installations along with our other electrical services. We conduct professional lighting installation services in Singapore to ensure that you have a system that doesn’t lead to power failures or other electrical problems. Lighting installations in the kitchen and bathroom must be functional. You don’t want shadows or dark spaces that could lead to injuries. Single lights may not provide all the lighting you need. You can get fancy with these types of light installations because interior lighting is an important part of the design of any room. Light fixtures can be elaborate for the living room while recessed lights can be installed for bedrooms for safety reasons. It is also advisable to install dimmer lights in such cases. Want to save money on your electricity bill while also protecting the environment? Using energy-efficient LED bulbs will help you maintain a cooler and better-lit house. With LED light installations, you can save almost 50% on your electricity bills. 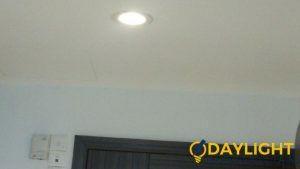 If you choose to hire Daylight Electrician Singapore, you can be ensured that we use only the most efficient energy-saving lights for your home or office and offer warranties on all light fixtures and light installations. Occasional light installation issues happen every now and then in most households. 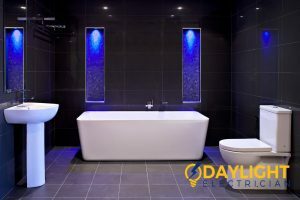 But before any homeowner delves into any kind of electrical services, they should first know the variety of light installation problems that they might encounter. This will be better for them as they will be equipped with the knowledge required to troubleshoot any kind of light issues. If the light bulbs in your house burn out quite often, then it is high time you look into the root cause of the issue. There are supposedly various reasons behind this light installation problem. If you use bulbs with a higher wattage than recommended, then is more likely that this burn out occurs because of this very reason. Remember to be cautious about troubleshooting such light installations as these bulbs could be lead to potential danger. Flickering lights are not only considered very troublesome to repair, but having them in a room can also be uncomfortable. 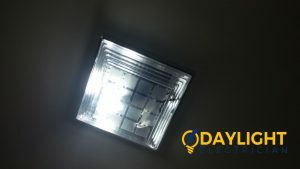 While there might be numerous reasons behind this light installation problem, poor connection in the circuit tops the list. Remember to narrow down the issue properly by observing when and where the light is flickering. Most homeowners can usually detect whether light installations are brighter or dimmer than usual. 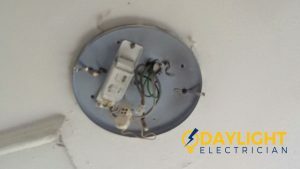 Such problems are usually caused by a damaged neutral connection and when this happens, you should immediately call a licensed electrician. To avoid this type of issue, remember not to attempt any kind of DIY lighting installation when you don’t have any electrical experience. Oftentimes, the light problem isn’t from the light fixture itself, but from the light switch. When light fixtures flicker in such scenarios, you should quickly contact a trusted electrician and opt for a light repair service. 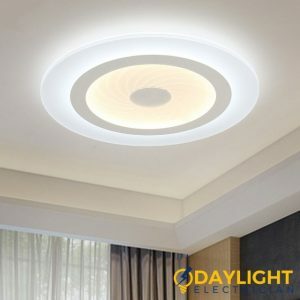 Recessed lights, or can lights, also face similar light installation problems like normal light fixtures. 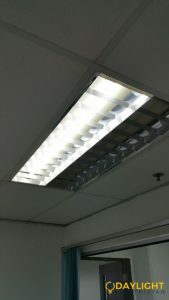 Hence, they are also subjected to similar lighting repair services. 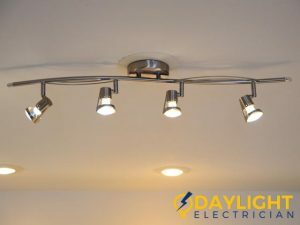 However, keep in mind that recessed lights are equipped with limit switches designed to turn off the light fixture when it heats on an unsafe level. 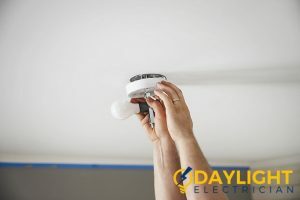 While you should always engage the service of trusted electrician when replacing light fixtures, some people with experience and are familiar with electrical services can often try carrying it out too. 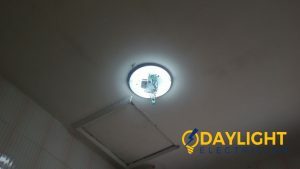 One of the first few steps before starting any kind of light replacement of repair is to switch off the power supply from the main point of the building. This will always remain an important precautionary measure to ensure the safety of the electrician handling the task. However, the electrician also needs to know beforehand exactly which switch is directly linked to the specific light fixture to be replaced. It is better to mark that specific switch in order to correctly identify the electrical wirings connected to the power supply point. 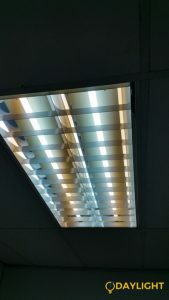 In light fixtures, the assembly of wirings is usually hidden from sight as it is covered by a canopy. Hence, you should open up this round canopy by removing the screws holding it together. The canopy is commonly found in all light fixture types, which this matter easy for electricians to handle. 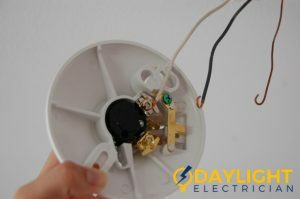 You will see a set of black, red, and green cables after opening up the canopy Unscrew all of these three main existing electric wires installed on your wall or ceiling. 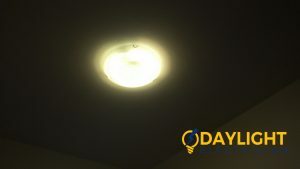 Make sure that these three wires are completely disconnected from old light fixtures before connecting it to the new one. But don’t fret, because a good electrician in Singapore is fully experienced in handling this procedure when replacing all electric fixtures. 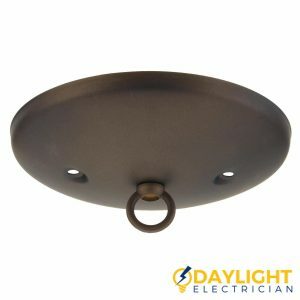 Remove the old light fixture from the ceiling or wall when the wires are fully disconnected. 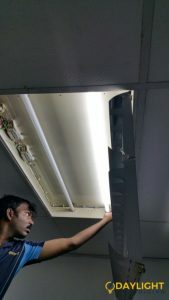 It then remains a crucial part of any light repair and replacement works in Singapore as the rest of the screws are removed to take out the fixture. Have a heavy or a more sophisticated type of fixture? Hire a professional electrician to avoid any accidents as they are mostly trained to handle all types of light fixtures in the ceiling. Ensure that the bracket or the electrical box are tightly screwed onto the ceiling. Use a single baseplate as the mounting structure on the ceiling if needed. 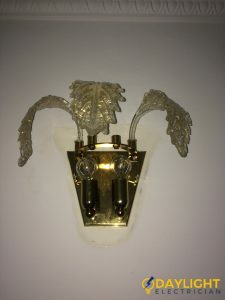 Some light fixtures types come with their own mounting base and in such cases, the electrician does not need to use his own metallic mounting bar for this purpose. 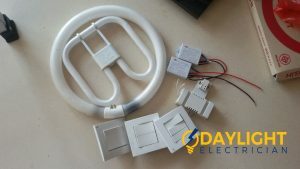 With the help of new wire connectors, connect the electrical wirings of the new light fixture to the wirings in the ceiling. 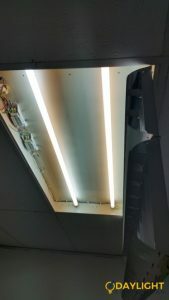 The black wire of the new fixture is supposed to be connected to the existing black wire of the ceiling. On the other hand, the white cable should be connected to the existing white wire only. Wrap the copper or the green wire around the green screw on the mounting bar. Otherwise, you can also directly connect it to the copper wire of the ceiling. Fit the new light fixture to the ceiling. Do note that some ceiling light fixtures may come with a chain, the length of which should be adjusted for perfect installation. Carefully hide the chain carefully inside the canopy. Securely fit the entire fixture by tightening the screws on it. Finally, don’t forget to test the newly replaced light fixture. 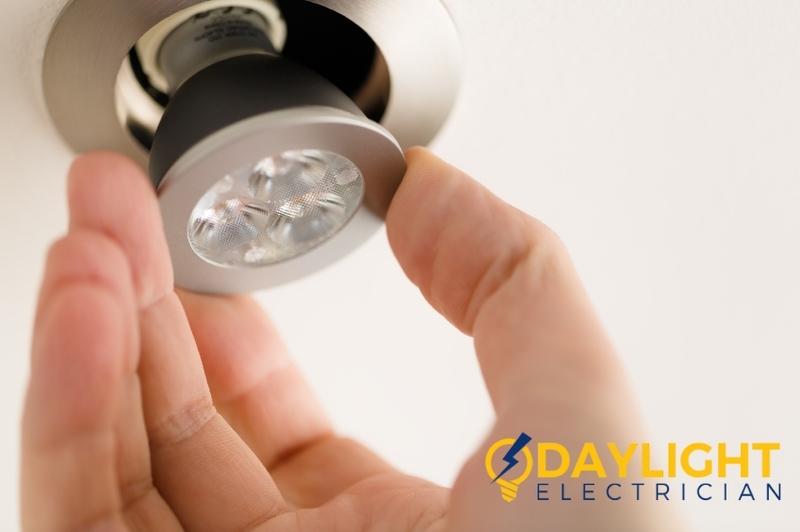 Do this by switching on the power supply to check if the light fixture is working well. Any loose connections between the black or white cables will prevent the light fixture from working at the optimal level. 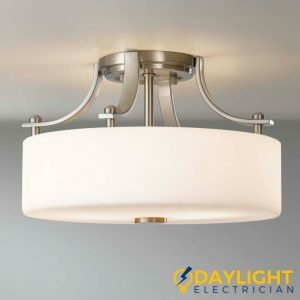 Daylight Electrician Singapore provides a wide range of electrical services that can help you plan and install only the best quality light fixtures. Contact us now to talk to our hospitable customer service staff and to enjoy quality light installation services in Singapore. 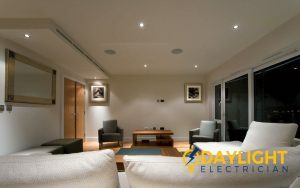 You can reach us at +65 6653 6261 or email us at enquiry@daylightelectrician.com to schedule an appointment today.